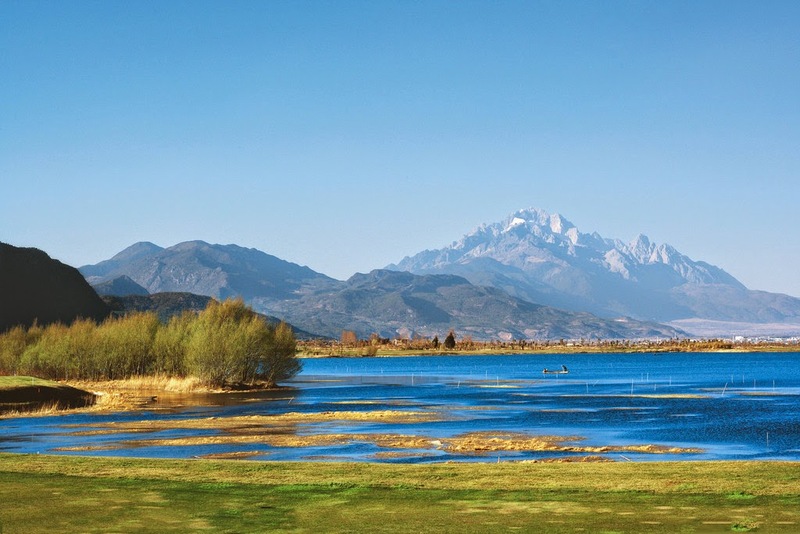 A haven for more than 57 species of migratory birds, beautiful gifted landscape with rich serenity, Lashi Lake situated at an altitude of 2,500 meters from the sea level is the biggest highland lake in Lijiang County. 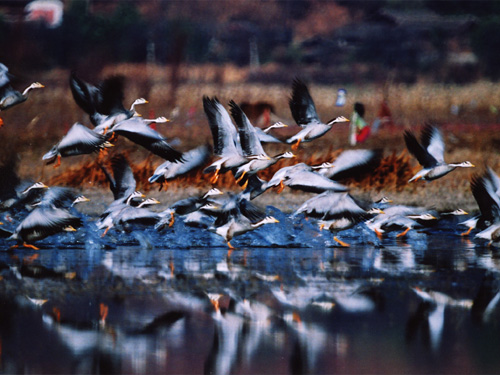 What makes the lake different from other lakes is largest water bird species that can be seen in any other lake in China. People who like to spend their holiday time in an atmosphere charged adventure thrills; this is the right place for them. You don't have to think too much about to decide a location, that is going to pump up your adrenalin level, no doubt Lashi Lake is the place you are looking for. Lashi Lake Wetlands is a location where you can hide yourself in the strange unusual location. 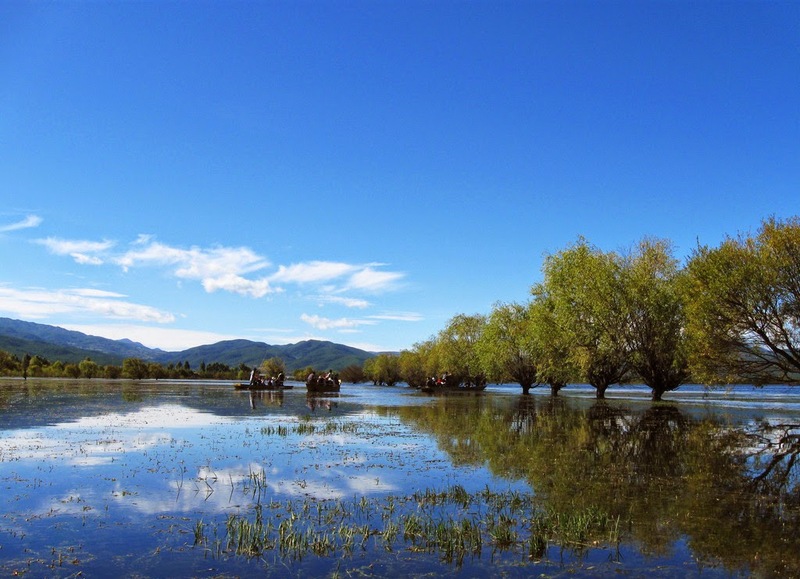 The Lake is having an area of 9 square kilometers and 8 kilometer west to the Lijiang city. 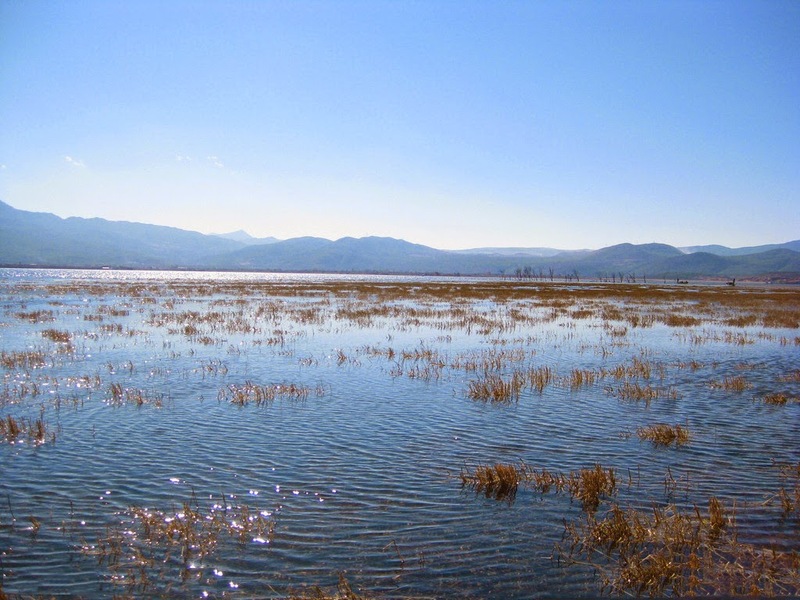 Lashi Lake is known as the National Wetland Park. Since the lake is located in an altitude of 2,500 meters, the climate will be mostly cool even in summer too. This is a major tourist attraction center and there are lots of water sport activities such as boat rides and fishing trips and numerous other activities make you busy always. On your ride in the lake you can see the endangered species such as black-necked crane, black stork and whooper swan. The birds find their food in the naturally grown crops from the Lashihai fields which are available in good quantity. Seven different types of fish species and rare aquatic plants also can be seen in the lake. One of the protected plant species out of the 47 plant species known as water lily can be seen in the lake. This is an ideal location for wetland animals and plants due to heavy presence of grassy marshland. This is not only a naturally beautiful location but it is also a good location for rich bio diversity life forms. Migratory birds make this their home during early winter. They move to this lake location from those places which are extremely cold. By spring season the birds leave further north locations which are ideal for reproduction. Bird watching, horse riding, fishing and boat riding are some of the entertainment activities tourist can engage in the lake. Boat Rind and Fishing is a very enthusiastic mass entertainment activity one can engage when staying at Lashi Lake Wetlands. The pristine, clear water makes the leisure trip every exciting. Assigning a guide to take care of your leisure activities in the lake can ease up the touring plan. With the help of a guide you can manage the boat trip in to a pleasant surprise. Fishing is a fun filled entertainment, you can engage in the Lashi Lake. Tourist can engaged in to an adventurous horse riding activity at the lake area. Horses can be hired on hourly basis and tourist can take ride to different location. The most popular route is the Horse Tea Trail. The path is popular for lush green scenery and people can pass by many lakes and waterfalls. December to February is the best season for bird watching. 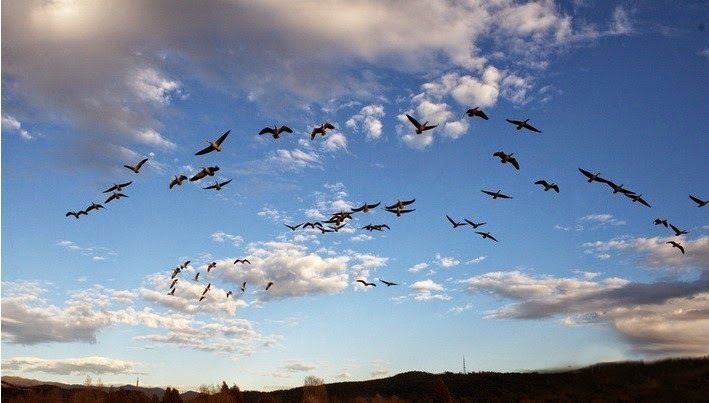 The number of migratory birds visiting this area will be beyond any expectations. Birds from Australia and Europe continent nestle here during winter season. Entry is free throughout all season. Transportation to the lake location is by taxi and tourist coaches. No public transport services are operating in this location. Taxi will take you within 20 minutes to the lake location. Autumn is the best season to visit the Lashi Lake.